Center of Functionally Integrative Neuroscience - CFIN/MINDLab is part of the Institute for Clinical Medicine at Aarhus University, CFIN/MINDLab is located at Aarhus University Hospital, Nørrebrogade. 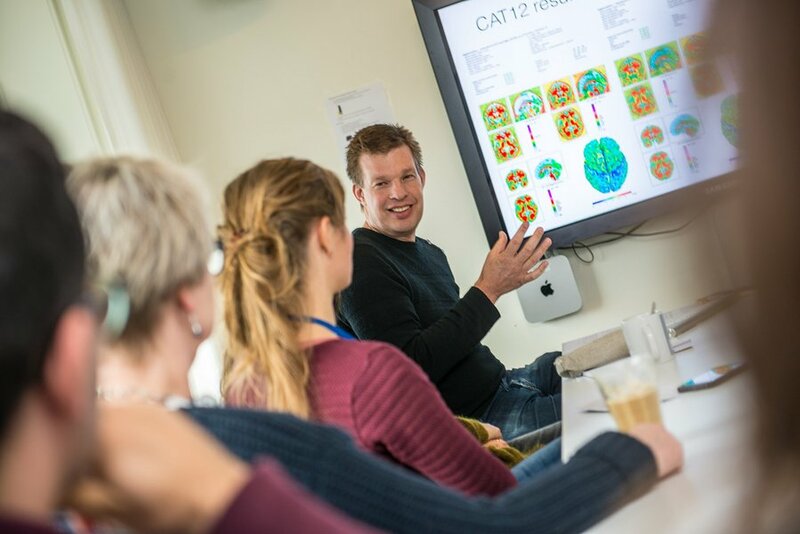 The centre joins brain researchers from numerous departments, institutes and faculties within Aarhus University and The Royal Academy of Music, in an effort to understand the human brain. Our goal is to understand the ability of the human brain to adapt to experience, during normal development, learning and interaction with the surrounding social and physical environment. In a cross-disciplinary effort, we employ this knowledge to understand the biochemical and structural effects of neurological disease or substance abuse. We believe this will ultimately lead to better understanding of neurological diseases and their treatment.